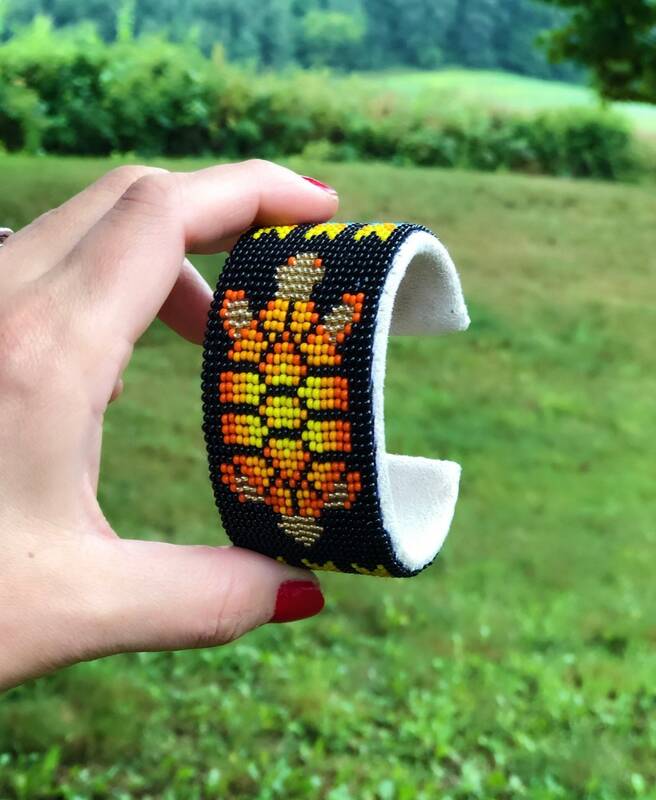 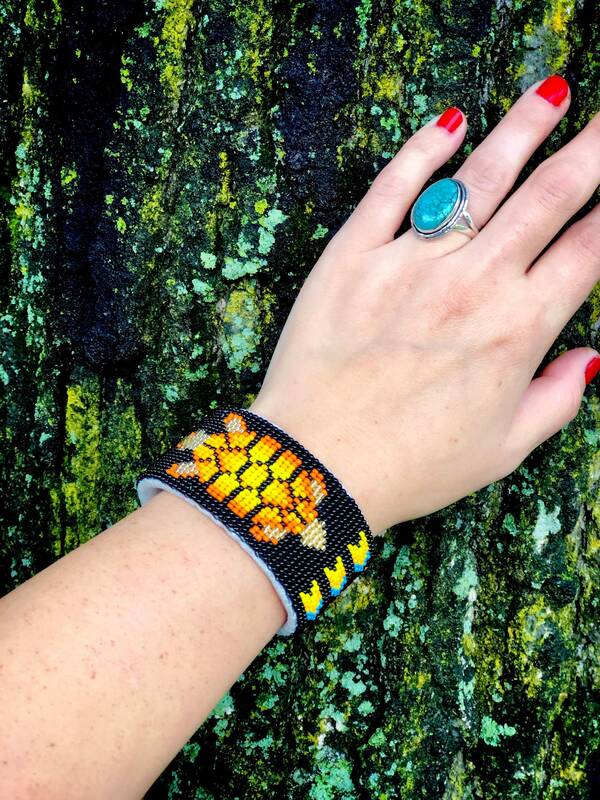 Native American handmade beaded cuff bracelet. 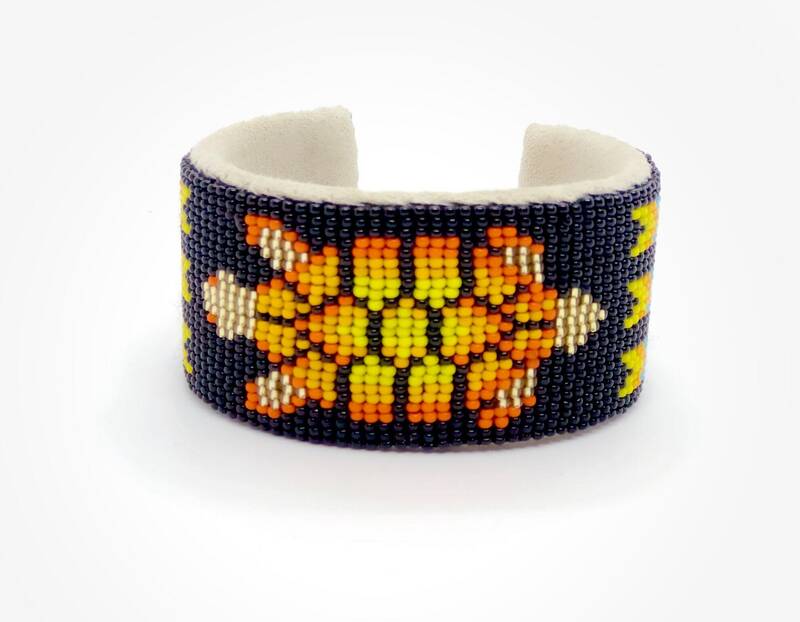 Made with glass beads on buckskin suede over an adjustable metal cuff. 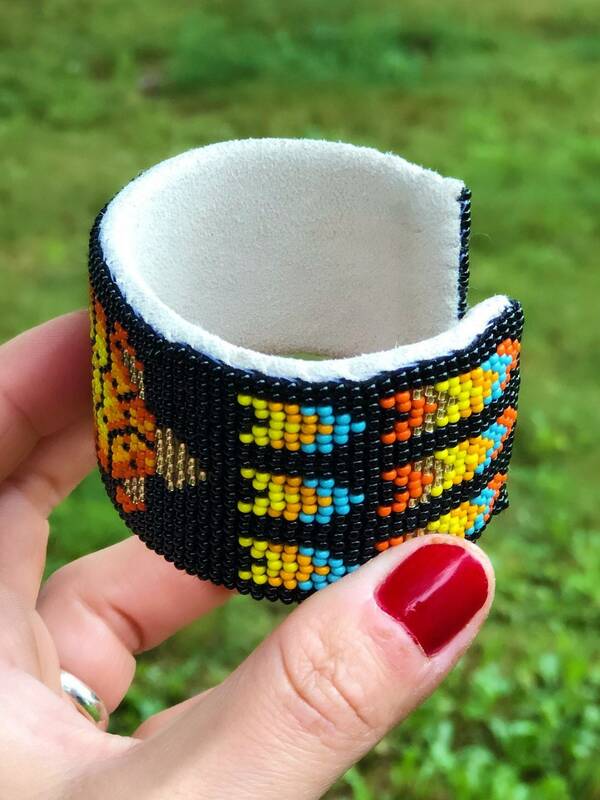 Bracelet is 7” in beaded length by 1.5” in width.